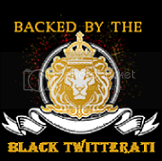 Black Twitterati: May 2010Black Twitterati- Celebrating the Black Twitterati... one tweet at a time. Who's worth following, who isn't. Blogging While Brown 2010: You Going? Where are all the Blacks in technology? This year they will be at the third annual Blogging While Brown Conference, June 18-19 in Washington DC. At a time when many social media conferences are struggling with issues of diversity and inclusion among their speakers and attendees, the Blogging While Brown Conference continues to provide one of the largest lineups of Black social media experts and serves as one of the largest gatherings of Black bloggers each year. Since its launch in 2008 Blogging While Brown has grown to become the premier blogging conference dedicated to collaboration, education, and innovation among bloggers of color. You may be asking: What if I’m not a blogger? What if I don’t know anything about social media or technology? Not to worry. Blogging While Brown has something for everyone. This year’s conference is expanding to include our very first Blogging Day of Service Free Blogger Boot Camp for beginning bloggers. So if you’re a novice that knows absolutely nothing about blogging or social media this is the boot camp for you. For the experienced techies, social media gurus, novices who see a wildly successful new digital media career in their future, or someone who simply wants to keep their finger on the pulse of technology, Blogging While Brown has an entire day full of workshops and panel discussions designed especially for you. More panels and workshops will be announced soon. Confirmed speakers for Blogging While Brown 2010 include: Lola Adesioye, Angela Benton, André Brock, Maurice Cherry, Cheryl Contee, Patrice Grell Yursik aka Afrobella, Scott Hanselman, Danielle N. Lee, PhD, Ananda Leeke, Luvvie, Gina McCauley, Latoya Peterson, Carmen Dixon Rosenzweig, Nichelle Stephens, and Baratunde Thurston. More speakers will be announced in the weeks leading up to the conference. So if someone asks, “Where are all the Blacks in technology?” Let them know that you will all be in DC June 18-20 at Blogging While Brown 2010. For more information and to register please visit www.bloggingwhilebrown.com. Follow us on Twitter @BWBConference for daily conference updates.